Guests gather to celebrate TechnoServe Mozambique's 20th anniversary. When TechnoServe’s first office in Mozambique opened in 1998, the country was recovering from civil war and working to rebuild its economy. So TechnoServe set to work studying which value chains could bring the most benefit to Mozambique’s many farming communities. Its findings—and its work to implement the results—would change the direction of critical sectors in Mozambique’s economy. On the evening of Thursday, November 8th, TechnoServe Mozambique marked this success with a 20th anniversary celebration in the capital city of Maputo, sponsored by Barclays Bank Mozambique. 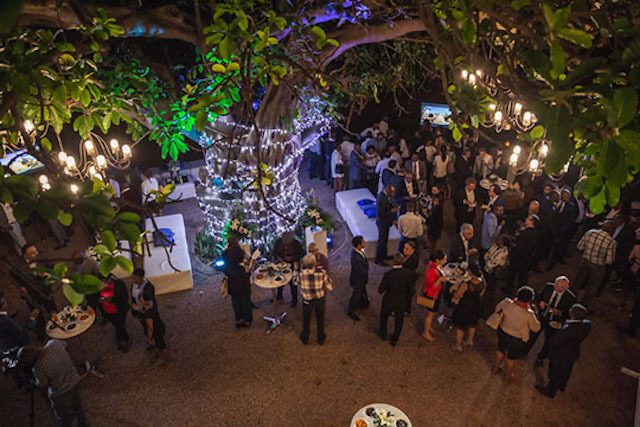 Reflecting the cross-sector partnerships that have characterized much of TechnoServe’s work in Mozambique, the event brought together leaders from across the business, NGO, donor, and government spheres. 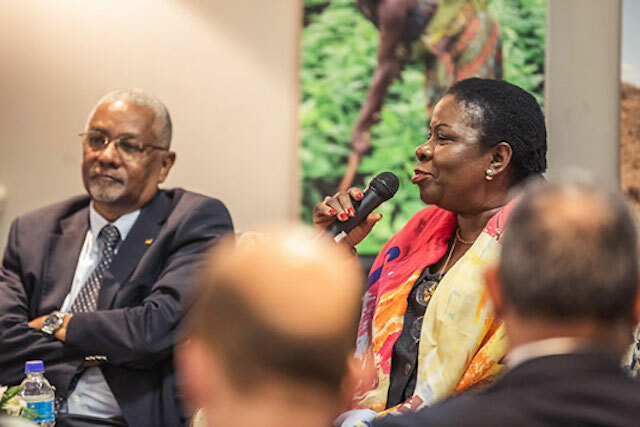 Among them were old friends in new places—such as Mozambique’s Minister of Agriculture and Food Security, His Excellency Higino de Marrule, who previously worked for TechnoServe for over seven years in the late 2000s. 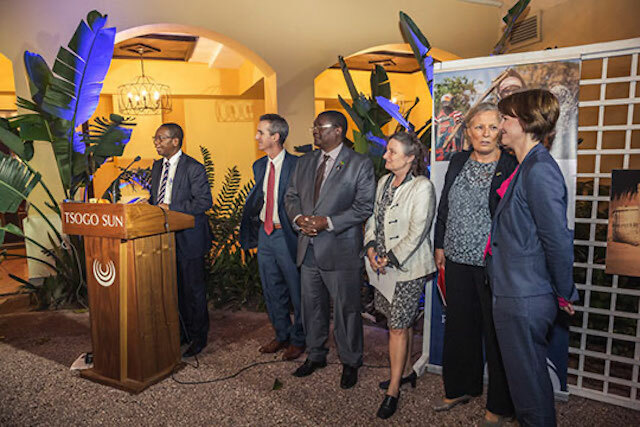 The evening's speakers are introduced, (from left to right) Tim McLellan, His Excellency Higino de Marrule, Jennifer Adams, Ambassador Marie Andersson de Frutos, and Jane Grob. The evening opened with remarks by Tim McLellan, TechnoServe’s chief operating officer, who highlighted TechnoServe’s role in catalyzing “whole industry” transformation and removing barriers to economic progress, primarily in the cashew, poultry, and soy sectors. When TechnoServe began working in cashew in the early 2000s, most of the factories had shut down, and national production was low. “Our assessment was that only when the cashew processing sector was revitalized would there be an improvement in the farmers’ economic opportunity,” said McLellan. Over the years, TechnoServe worked with cashew factories and farmers alike to spur growth and investment in the industry. Within several years, dozens of new factories had opened, which were processing almost 50 percent of the raw cashew nut produced. TechnoServe also played a key role in developing the country’s poultry industry, which was relatively small and disorganized prior to 2005, with the majority of the domestic demand met by imports of frozen chicken. Today, Mozambique’s national poultry industry is thriving, meeting approximately 69% of domestic demand. This also boosted demand in other industries such as poultry feed, which is largely made of soybeans. “As we saw the poultry industry progress, it encouraged us to promote a parallel expansion of the soybean industry, where we have been working since 2009,” McLellan noted. It is now estimated that Mozambique produces up to 50 percent of the soybean it consumes. 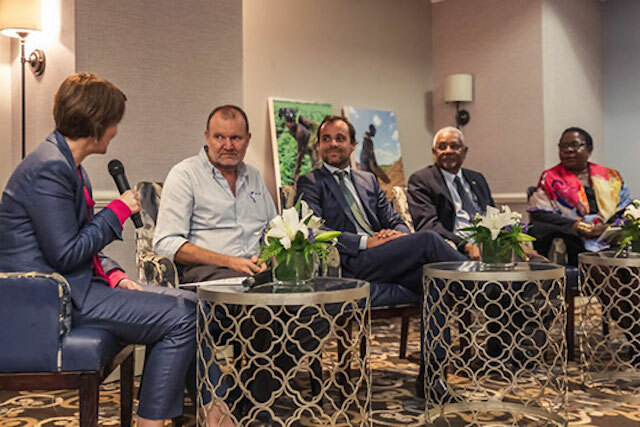 Following these remarks, Jane Grob, TechnoServe Mozambique’s Country Director, led a panel discussion with distinguished guests on business models in various agricultural industries that have contributed to inclusive growth and poverty reduction in the country. Jane Grob leading a panel with Andrew Cunningham, Francisco Ferreira dos Santos, Carlos Costa, and Luísa Diogo. Andrew Cunningham, the executive chairman of Novos Horizontes, one of the largest poultry operators in Mozambique, explained the successes and challenges in pioneering an outgrower network of 250 small-scale poultry producers in Nampula, working with TechnoServe. Novos Horizontes’ goal has been to “synergize the strengths of commercial and small-scale people and create a chain that really makes that work,” he said. Its outgrower scheme has been successful so far in not only creating revenue for the company, but in helping smallholder farmers reach scale. Francisco Ferreira dos Santos, the executive director of JFS Group, the oldest agro-industrial company in Mozambique, also spoke of how important investing in outgrower schemes with smallholder farmers has been for its business model. 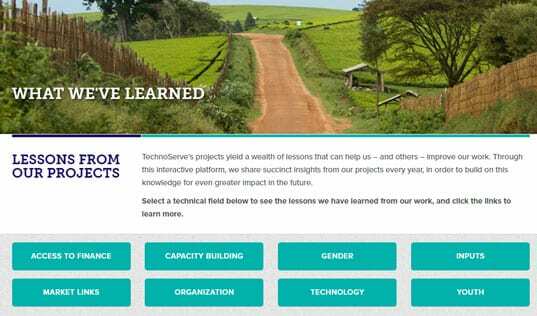 JFS has piloted an innovative mobile-based platform, with the support of TechnoServe, to improve communication with over 45,000 smallholder farmers who are JFS’ outgrowers. The company has purchased and distributed mobile phones to each farmer, allowing them to share key information and directly communicate regarding any issues or concerns. Luísa Diogo speaks about the importance of investing in the inclusive business model. The Swedish ambassador to Mozambique, Marie Andersson de Frutos, also spoke, noting the importance of including women in economic activities. 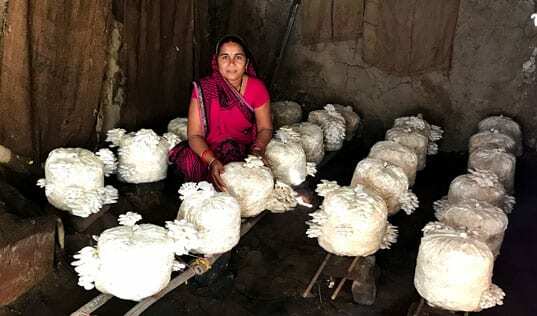 “Organizations such as TechnoServe play an important role in the process of promoting employment and income because it knows how to make women not only employees but also employers within [...] the different value chains,” she said. Mozambique's Minister of Agriculture and Food Security gave the final speech of the evening, highlighting the government’s role in the agricultural sector and the contributions that TechnoServe has made over the years. Learn more about TechnoServe’s inclusive work in Mozambique.